100% BONUS ON THE 1ST DEPOSIT UP TO 10,000 Kes! 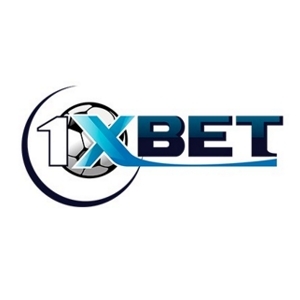 Register on the 1xBet website and receive a 100% bonus to the maximum amount of 10,000 KSH (or equivalent in another currency) on the first deposit! 3. Top up your account up to 10,000 kes (or equivalent in another currency). NEW RAFIKI BONUS !!! EARN UP TO 20% FOR EACH FRIEND! Use this link to register and start earning cash for each of your friend !!! You earn money for each friend for lifelong !!! As long as they keep playing, you keep earning !!! BEST RAFIKI BONUS !!! A Player will get 50% bonus on a winning multibet of more than 10 games. Also, a Player will get 25% bonus on a winning multibet of 7 games, 8 games, 9 games and 10 games. Kenya’s best win bonus, up to 100% on top! The Bonus is calculated on multiple bets with 5 or more selections. The bonus starts from 5% of the potential winning (for 5 events) and it increases by 5% with each event added to the bet coupon, up to 50%. The bonus applies to all events with odds starting from 1.20. Please note that for the bonus calculation, any VOID event will NOT be considered, therefore the actual bonus can be different from the one reported in the coupon. In order to calculate the actual winnings it is necessary to multiple the potential winning by the bonus multiplier. More selections you add to your coupon, more bonus you get! In total we have selected 6 events, but the bonus will be applied for 5 events (5%) as one of the event Manchester City- Norwich- 1.17 has odds less than 1.20.